I love when I open the refrigerator thinking I have an ingredient on hand and when I find it’s not there I’m left scrambling. This week this exact thing happened and I was left trying to find an Italian dressing recipe at a moment’s notice. 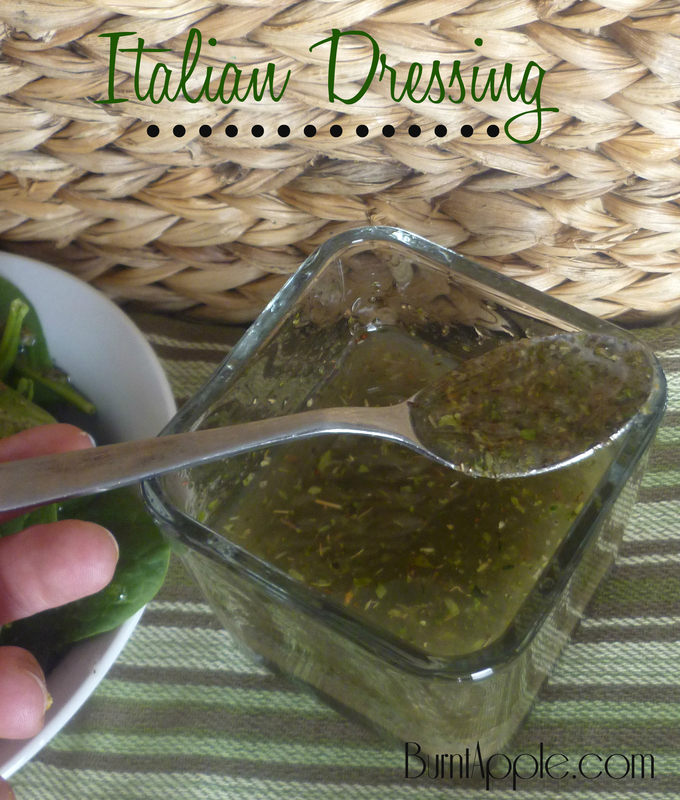 There are a lot of recipes for Italian dressing, but this one was the best that I’ve found. It was wonderful on our salad and delicious on our chicken. This weekend we are off to celebrate our 11th wedding anniversary! We have decided to wait and see where the sale fares for the week may take us. A last minute spontaneous little adventure. We’ve talked about spending the weekend skiing somewhere, going to Vegas to catch a show, or even just enjoying a quiet weekend without the children at home. While we are gone, enjoy this incredible Italian Dressing recipe! I can’t even write it without an Italian accent going through my head. In a small bowl, mix together all of the dry ingredients and set aside. In a blender bottle or small bowl, whisk or blend together the wet ingredients and two tablespoons of the dry ingredients until blended well. Store the remaining dry ingredients for another use. (I suggest freezing it in a freezer style bag, especially if using fresh herbs). Store dressing in blender bottle or pour mixture from mixing bowl to a mason jar or airtight container and store in refrigerator for up to one week.